Sun-baked coastlines: The weather on Sharm el Sheikh holidays makes it an all-year round dream destination. Temperatures climb to a sizzling 37C in the summer months, and are a pleasantly warm 27C during winter. And best of all, with just 5mm of rainfall every year, the skies are practically cloud free! The top beaches in Sharm el Sheikh are found in the areas of Naama Bay, Nabq Bay, Shark’s Bay and Habada. You’ll appreciate the soft golden sands which lead into crystal clear waters. Diving holidays: With over 250 coral reefs and 1000 species of fish, Sharm el Sheikh holidays are considered some of the best for diving in the world. As such, you’ll find diving schools in almost every part of the coastline of Sharm el Sheikh, with PADI and BSAC accredited divers offering lessons on diving holidays for beginners and experts alike. Natural beauty: As well as the amazing treasures beneath the sea, holidays to Sharm el Sheikh are very close to the Sinai Mountain range. The huge Sinai peninsula stretches across 23,000 square miles and takes in massive mountains, sand dunes and even an old monastery. Mount Sinai (an individual mountain with the same name) is also here, and measures just under 7,500 feet tall. You can read more information on Egypt Holidays by visiting our dedicated Egypt holiday guide. 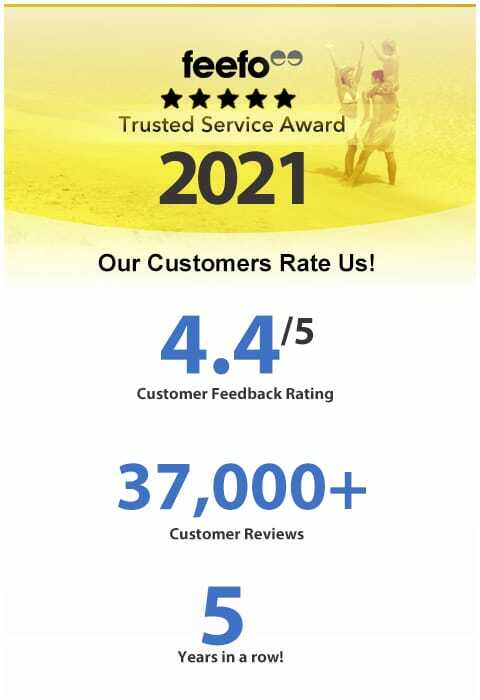 Book Sharm El Sheikh Holidays online or by calling the telephone above with Sunmaster Holidays. St. Catherine’s Monastery: Although this ancient monastery is over 100km away from the holidays resort of Sharm el Sheikh, we thought we’d mention as it’s still worth travelling the distance if you’re on holiday in Sharm El Sheikh. This impressive old monastery is actually at the foot of the mountain, and as it was built in 527AD, it’s often claimed to be the oldest working Christian monastery in the world. The site incorporates some famous artefacts from the Christian religion, including the Burning Bush, some of the earliest icons in existence, and the Holy Testament of Mohammed. The interior itself is also decorated with beautiful Byzantine artwork of glistening gold and deep red. 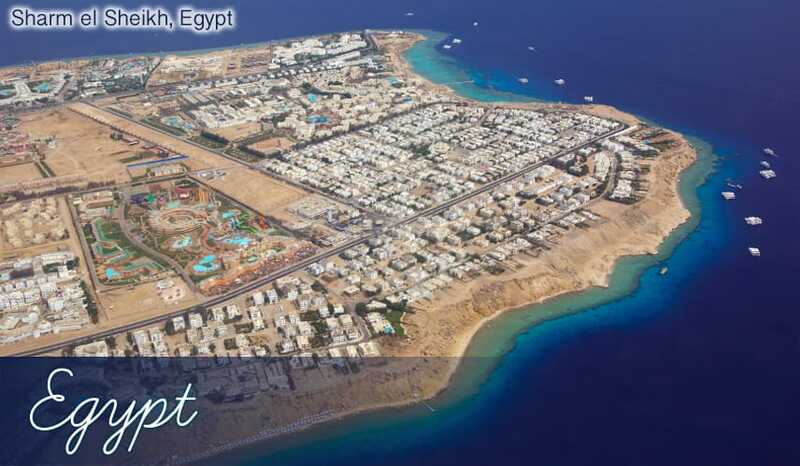 Have you visited our Hurghada Holidays resort guide? In Hurghada they have the Mons Porphyrites attraction which is worth reading if planning on travelling to Egypt this summer. Diving & Snorkelling: Situated on the edge of the wonderfully warm Red Sea, Sharm el Sheikh holidays are perfectly placed for viewing all the vibrant marine life under the water. Many of the main dive sites are within the Ras Mohammed National Park, which means you need to be extra careful not to damage the colourful corals. The main dive sites in Sharm el Sheikh include Jackson Reef to the north, where you’ll see clown fish, puffers and even hammerhead sharks! The Yolanda reef in the south features an old shipwreck which seems to attract the big fish like tuna, barracudas and blue fish. Ras Umm Sid in Sharm el Sheikh is also fantastic, and you might even see huge whale sharks here if you’re lucky! If you don’t fancy doing a deep sea dive on your holidays to Sharm el Sheikh, you could always just swim out with a snorkel. You’ll still get some glimpses of the bright fish below, plus many of the beaches and all inclusive hotels have jetties which lead you right into part of the sea where all the aquatic life and coral reefs are, without any need to jump on a boat. Wild water sports: With such a warm, crystal clear sea around Sharm el Sheikh, it’s no surprise many people are drawn to spending lots of time in the water on their holidays. The huge choice of water sports on offer around the Red Sea highlights this fact too: you can take your pick from kite-surfing, parasailing, jet-skiing, sailing and more. Mount Sinai: Although Mount Sinai is actually 100km away from Sharm el Sheikh, there are many holiday excursions available to the mountain, where you’ll also be able to take in the sights and splendour of St. Catherine’s Monastery. There’s a 7km trail which leads to 750 steps to take you to the summit, which we’d advise you go by camel rather than on foot. Plus, the best time of day to go is very early in the morning, making it to the mount by 5.30am to see the burnt amber sunrise. A perfect picture opportunity for your holidays in Sharm el Sheikh! Quad biking: The Sinai Desert (which forms part of the Sinai Peninsula and begins where Sharm el Sheikh ends) is the perfect place for all sorts of high-octane driving. The main pursuit you can take part in yourself is quad-biking, with many events companies offering holiday excursions in Sharm el Sheikh for driving into the desert and over the sand dunes. If you’d feel a little safer inside a car, you could always get someone else to drive you around the desert in a 4x4 – it’s an equally thrilling experience on Sharm el Sheikh all inclusive holidays! A night under the stars: With constantly clear, cloudless skies, the Sinai Desert also lends itself well to star-gazing. And to make it even more of a cultural experience, you can actually spend a night in a Bedouin camp. The Bedouin are the original native people of the Egyptian desert, and they’ve mastered living off the land to a fine art. As well as enjoying a taste of their way of life, you’ll also enjoy a taste of their food too, with dishes such as flatbreads and chickpea stew. Ras Um Sid: Sharm el Sheikh doesn’t really have named beaches as such, but it does have several bays which all have their own unique atmosphere. Ras Um Sid (or Hadaba as the inland resort of the area is known) is the southernmost resort for Sharm el Sheikh holidays. It has a quieter nature than the more popular Naama Bay, but still has great areas for snorkelling and many golden beaches such as El Fanar Beach. Naama Bay: The most popular resort for holidays to Sharm el Sheikh, Naama Bay has it all – calm, golden beaches, many dive centres and a huge variety of bars and restaurants. It’s also the place to be at night – with the liveliest clubs all based around this energetic bay. Sharks Bay: This cove offers the most stylish holidays in Sharm el Sheikh, and it’s also a haven for divers wishing to explore the nearby Tiran Island. If you tire of lazing on the beach you could always wander around Soho Square and enjoy the modern restaurants and shopping centres. Nabq Bay: The northernmost resort in Sharm el Sheikh, Nabq Bay offers the most peaceful holidays of all. There are many all inclusive hotels spread across this area, as well as stunning protected corals under the sea. The Mexican Restaurant: One of the most popular restaurants in Sharm el Sheikh, the Mexican cuisine here is cooked simply but beautifully. Interestingly enough, the dishes such as spicy rice, chilli chicken wings and tangy guacamole seem to suit the hot climate of Egypt just as well, even though it’s miles away from Mexico! Al Masiryn: When enjoying your holidays in Sharm el Sheikh, you’ll probably be looking for an Egyptian restaurant to sample the local cuisine. Well, that’s exactly what you’ll find in this traditional eatery! The authentic dishes include Tahini, stuffed chicken, flatbreads and lamb koftas. Here’s another top tip – the prices here are very low, so choose this restaurant if you want cheap holidays to Sharm el Sheikh to stay cheap! Camel Bar & Roof: Resembling more of a standard bar and restaurant which offers a variety of international and home comfort cuisine, Camel Bar has a wide variety on its menu from pizzas and pies to burgers or chicken ‘n’ chips. Everything is perfectly cooked, and the atmosphere is always warm and friendly. Naama Bay bars and clubs: Many of the all inclusive holidays in Sharm el Sheikh include alcoholic drinks and evening entertainment in one great value package. So you could always have a perfectly good night partying within your hotel while on your Egypt all inclusive holiday. However, if you fancy venturing out for a night out on your holidays, you should head straight for Naama Bay. Here you’ll find all the main bars, including Camel Bar (which also doubles up as a restaurant), Pirate Bar and the internationally renowned Hard Rock Cafe. Best of all, there’s a Pacha club here (one of only three in Africa) which you’ll find is packed with beautiful people dancing to loud, pulse-pounding music. But if you’d rather go somewhere where it’s less about glamour, and more about having a proper party, you could always choose the disco-themed Bus Stop club. Chilled beach holidays: With soothing chill-out music, plush sofas and an open air bar, Terrazinna beach is a top choice for those who’d prefer their holidays to Sharm el Sheikh to be a little more chilled. Aside from that, a trip to the Little Buddha should not be missed. It actually has the longest bar in the Middle East, and the exotic oriental-inspired decor is matched by the delightful cuisine that you can opt to have served with your drinks. Sinai Grand Casino: The largest casino in the Middle East, Sinai Grand Casino features lots of different games in lavish surroundings. Try your hand at poker and blackjack, or aim for a winning streak on roulette. And it’s not all about the gambling, as there’s a classy restaurant plus huge TV screens playing live sport. Old Town Market: There are several markets in Sharm el Sheikh, with the main one being the Old Town Market held Monday to Thursday in the Old Town. The area is not everyone’s idea of an enjoyable shopping experience as the stall traders and shop keepers can be very pushy in getting you to buy their products. However, you are also actively encouraged to haggle, which means you can get a real bargain if you try – the perfect way to complement cheap holidays to Sharm el Sheikh! Expect to see lots of different items on offer too, from strong-smelling oil-based perfumes to cheap leather goods and gold jewellery. And of course, how could we forget the beautifully tailored rugs? Egyptians have got rug-making down to a fine art; just make sure you barter with them first to get an elegant rug for a great price. Cotton, silk, and herbs & spices are also very high quality here, and offer seriously good value. Shopping malls: Unfortunately shopping on holidays to Sharm el Sheikh can be rather infamous for having very pushy salesmen. However, if you’d prefer some rather more sedate shopping, head for one of the modern shopping centres in Naama Bay, Sharm El Sheikh. Il Mercato is one such place, and is a very clean, modern shopping centre spread across three floors. There’s still a section for stalls in the centre of the mall, and some shops still operate a bartering policy but it’s far more relaxed than the manic nature of shopping in the Old Town market or the stalls in Naama Bay.